Far across the distance. 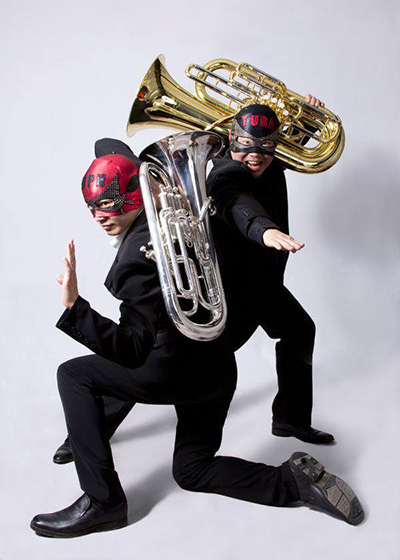 They came from the Tuba Planet to protect the peaceful tuba life on the Earth. 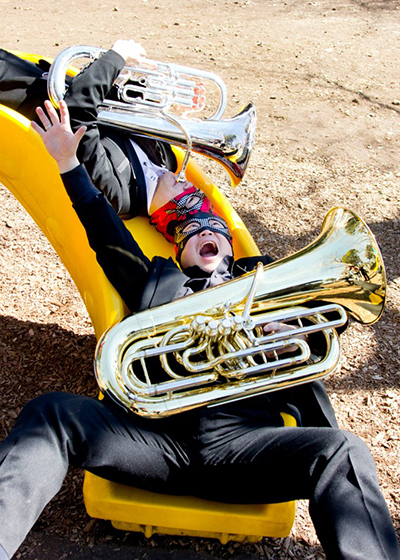 They don’t kick , nor punch the evil, but blow tubas to make them happy. No electricity is needed, no roof is needed.They manage their copyrights by themselves. 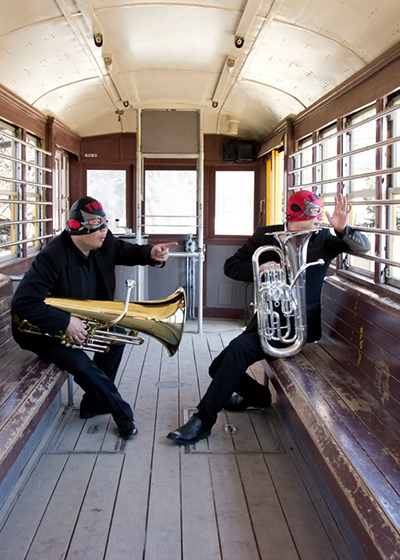 They come to you as fast as sound wave whenever you need tuba sound. Wanna be like us? 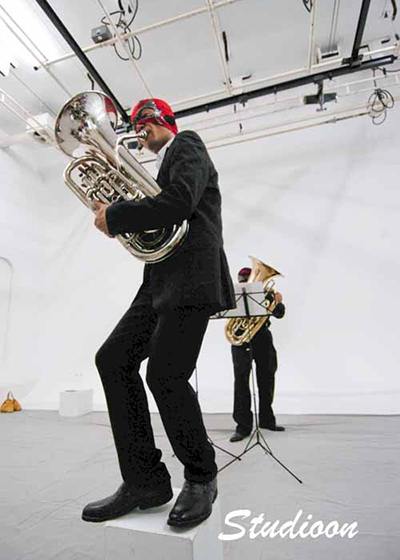 CDs and sheet music is available. 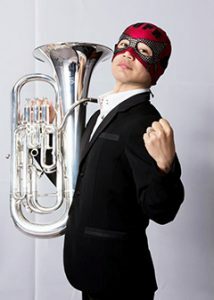 But remember,with a great mask comes great responsibility. 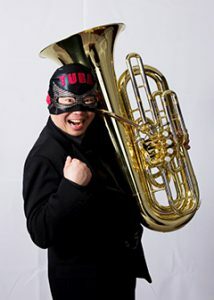 He has strong connection with Toshinori Terukina, who has graduated from Aichi Prefectural University of Fine Arts and Music, and studied jazz in North Texas University, and studied euphonium under Dr.Brian Bowman. 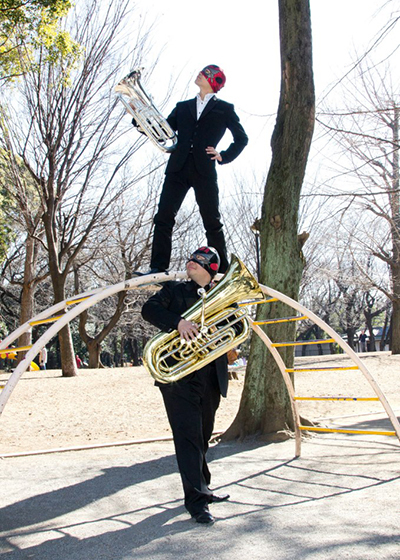 He has strong connection with Tatsuki Yoshino, who has graduated from Tokyo College of Music, and studied jazz at Waseda University Modern Jazz Club, studied tuba under Prf. Rex Martin. Copyright (C) TubamanShow All Rights Reserved.